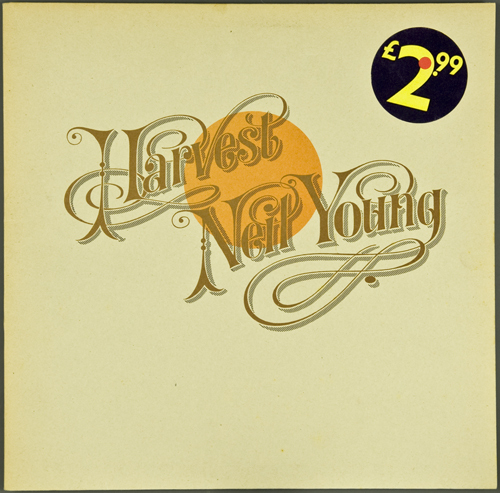 Artefact Description The record is ‘Harvest’ by Neil Young. 35rpm . Price label says £2.99 with red dot as a symbol of ownership. Book style sleeve. Good condition. Front cover has album title and name in florid font with the ‘g’ ending in a large flourish. There is a large orange circle in the design. History of Artefact The back cover has a photograph of Neil Young and his band. 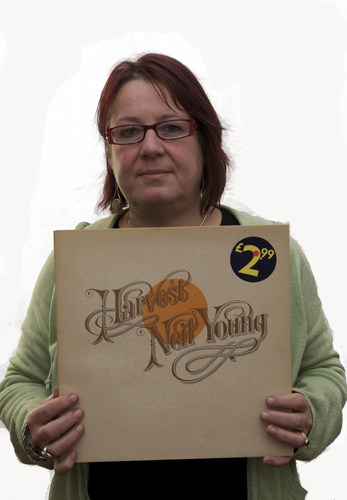 Inside there are the track listings and a photograph of Neil Young reflected in a door handle. He is wearing 1970s clothes with long hair. Great music, brings back lovely memories seeing that ,cover again !